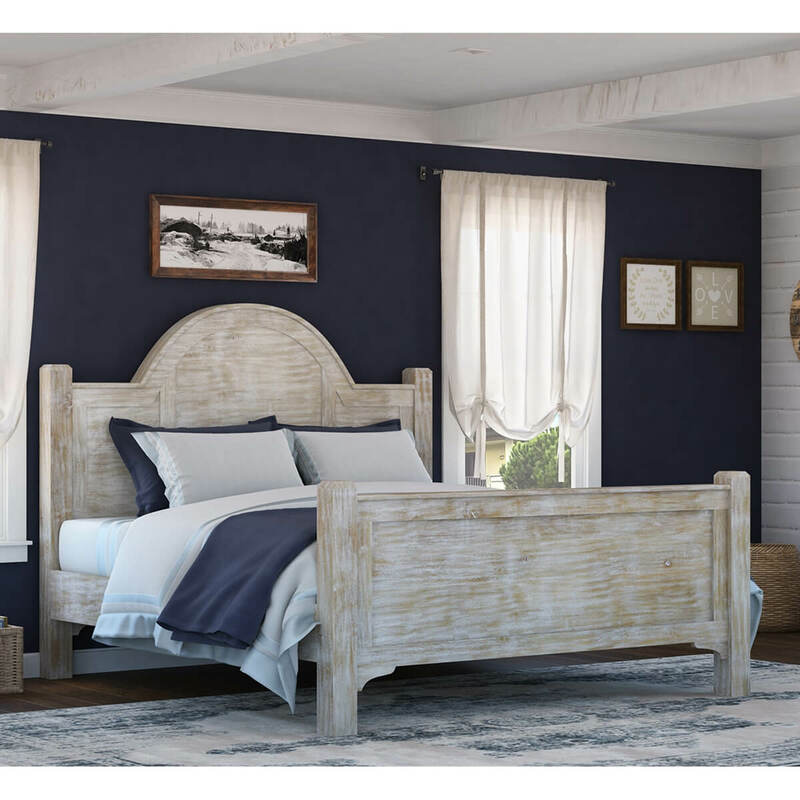 Drift off to sleep surrounded by simple grandeur in our Gothic Rustic Winter White Bed with Foot Board and high Headboard. 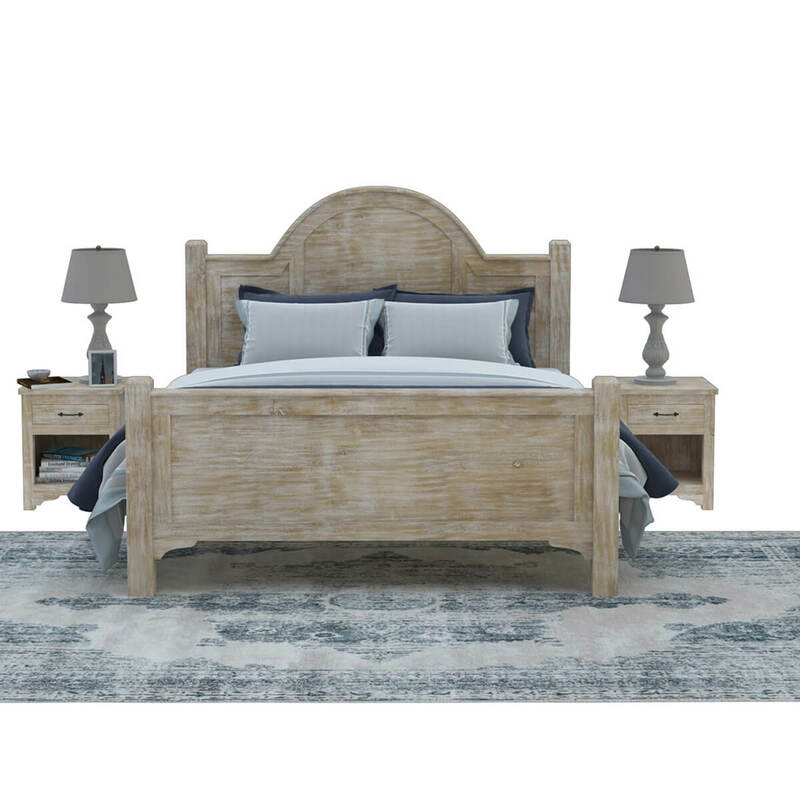 This handmade solid hardwood bed stands off the floor for easy cleaning with enough room for under the bed storage. 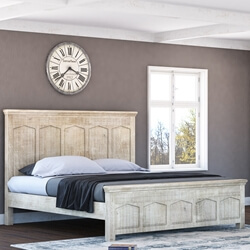 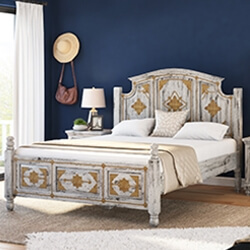 The headboard is designed with a high arch and all four corners strand with four-sided posts. 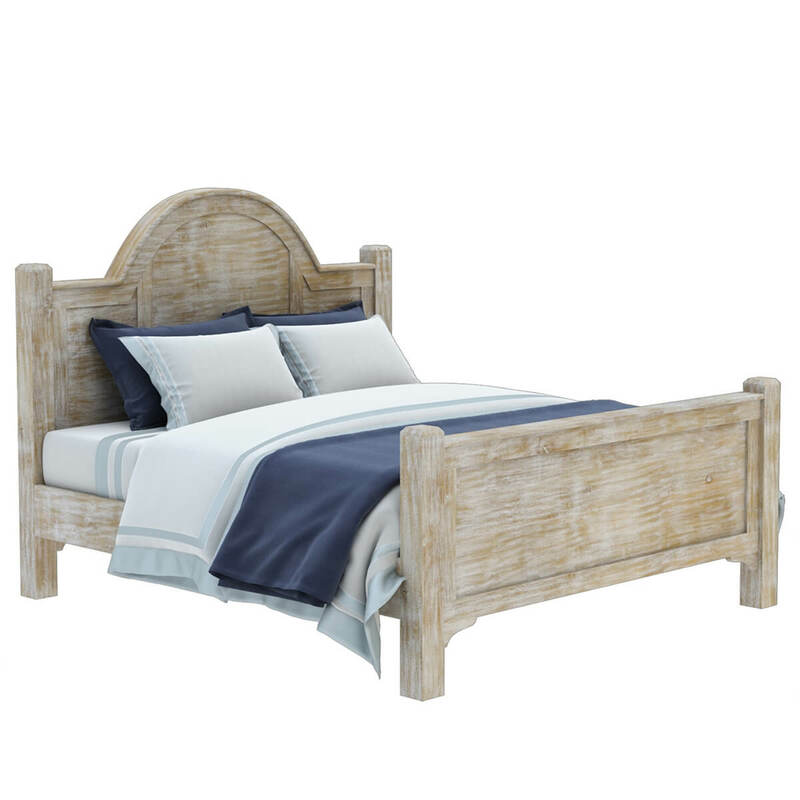 Choose the bed size you need; Full, Queen, King or California king. 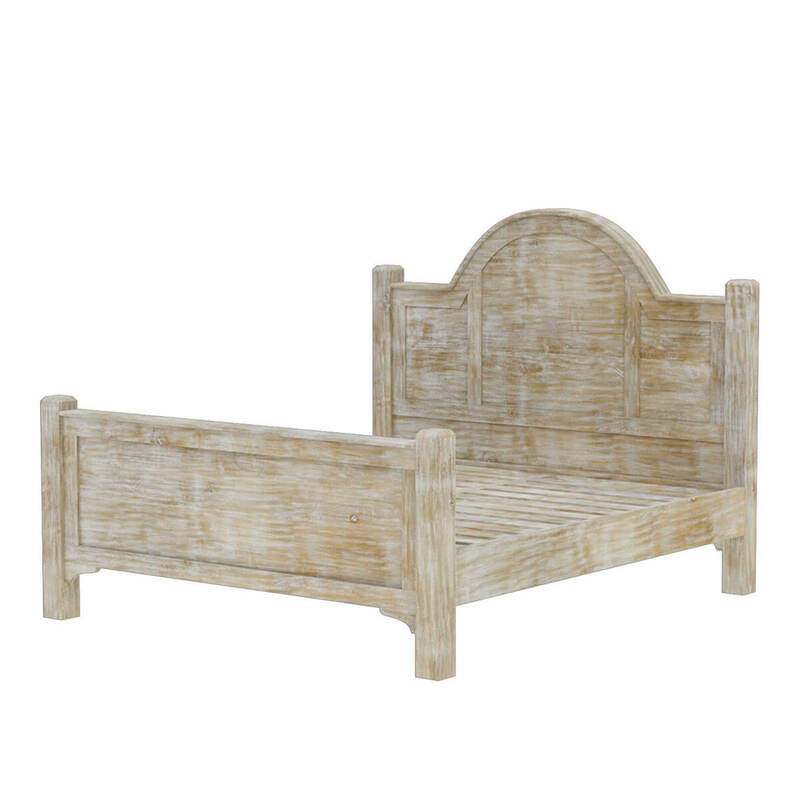 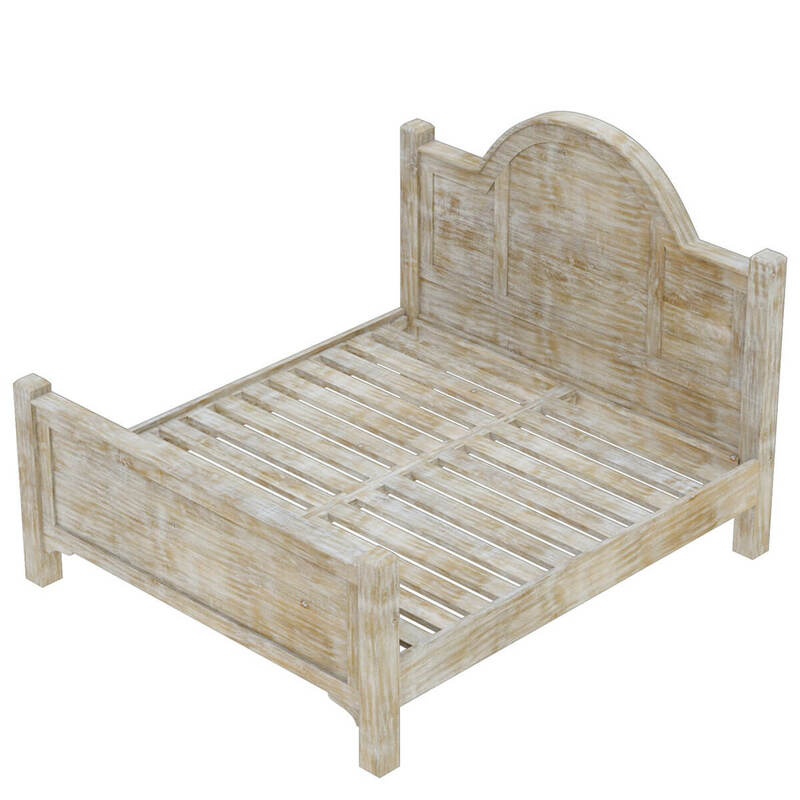 This rustic bed is built with solid mango wood, a tropical hardwood grown as a renewable crop.